If you own an HP laptop or tablet you may have had every single thing you’ve typed on it logged and stored on your hard drive. This is because, according to a report by security researchers, a keylogger has inadvertently been installed on a number of HP devices. And it’s still there now. 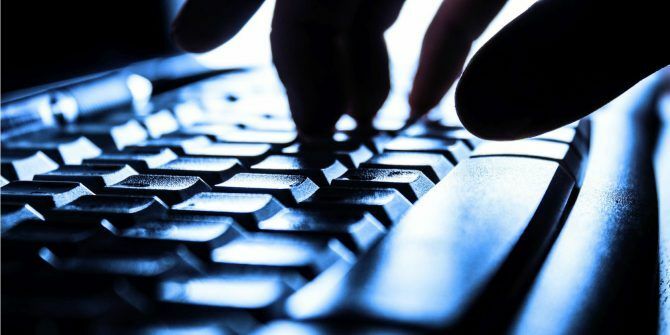 Keystroke logging 5 Ways to Protect Yourself Against Keyloggers 5 Ways to Protect Yourself Against Keyloggers Keyloggers are one of the most feared threats to computer security. Heed these tips so you don't fall victim to hackers. Read More is a generally nefarious activity whereby someone monitors everything being typed onto a keyboard. Keyloggers can be hardware- or software-based, and are difficult to detect. Which is why it’s so unsettling to discover that one is installed on a number of HP devices. According to Swiss security company Modzero, a range of different HP devices, including popular laptops and tablets, have a keylogger installed on them. The keylogger allegedly found its way onto these devices by way of an audio driver update issued by Conexant at the end of 2015. The driver update introduced an executable file allowing the driver to respond when a user presses special keys. The problem is the executable file captures every single keystroke, and stores them in a log file on your hard drive. A log file stored in plain text, no less. The good news is that this log file is deleted every time you reboot your computer. The bad news is a) it’s there to begin with, b) the data could be preserved in backups, and c) someone with the proper training and tools Turn Back Time: 4 Tools & Tips To Restore Deleted Files In Windows Turn Back Time: 4 Tools & Tips To Restore Deleted Files In Windows One of Windows' biggest flaws could be your rescue, should you ever accidentally delete an important file: The Windows file system does not actually delete files. Until they are overwritten, deleted files can be restored. Read More could restore the data long after it gets deleted. If you own an HP laptop you should check whether it has MicTray.exe or MicTray64.exe installed on it. If it does, Modzero recommends you either delete or rename the file to stop it from logging any more keystrokes. Unfortunately this will also stop the special keys functionality from working. HP is aware of this issue and promising to fix it as soon as possible. However, this will be of scant comfort to anyone affected by this, as they’re now stuck with a hard drive potentially stuffed with historic keystroke-logs. Conexant has yet to issue a statement. Do you own one of the HP devices thought to be affected? If so, are you worried about the situation? Or is this being blown out of proportion? Are you going to stop using the device until HP fixes the problem? Or is that overkill? Please let us know in the comments below! This is scary to think a computer manufacturer or company is recording anything, it smells like advertisers or third parties deals in my mind but, it could be a Microsoft fan boy practicing similar tactics. Like we need another greedy and devious traitor, there going to start a consumer revolt..